SAN FRANCISCO -- BART directors voted unanimously this week to approved an "Art in Transit" program that they hope will make the transit system's stations and riding experience more inviting and vibrant. The program will preserve BART's existing collection of 50 artworks and bring more art to the transit system by creating a 15-year systemwide arts master plan for art. The program will begin with a five-year work plan that will identify short-term projects and fundraising goals, BART directors said in voting for the program at their meeting on Thursday. Among the possibilities being considered are additional permanent art in stations, artistic design, murals on trackways and temporary art with rotating displays. 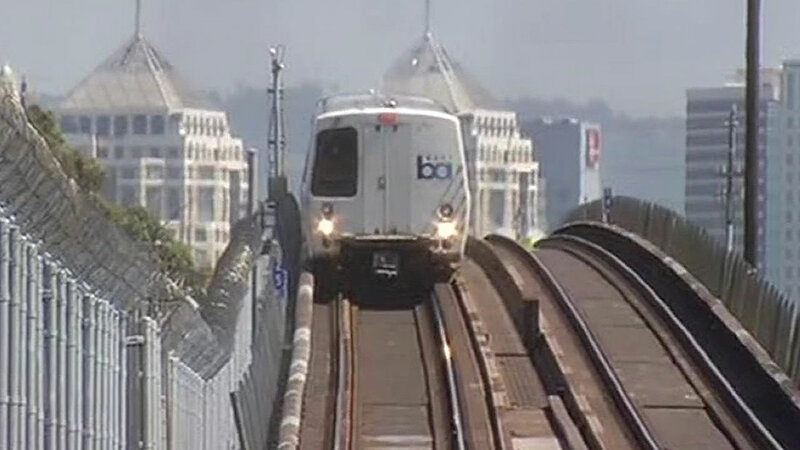 BART officials initially had called for setting aside for art 1 percent of construction costs at stations and 0.5 percent of the price of capital improvements on rail lines and at maintenance shops and yards. But the board of directors didn't approve any funding on Thursday. Instead, BART staff will finalize a needs assessment to present to the board at a later date before it considers a funding strategy. The Art in Transit program will be administered by an art program manager will help the transit system maximize its investment in art and leverage private funding, BART officials said. Currently, there are nearly 50 works of art throughout the BART system, including sculptures, mosaic tiles, glass, photography, terrazzo, murals and other media. BART says its collection includes artworks initiated by the community as well as pieces commissioned from Bay Area, national and international artists. New works of art have been installed in both Oakland airport connector stations, as well as the Warm Springs/South Fremont Station that is now under construction, BART officials said. BART Director Robert Raburn of Oakland said in a statement, "There is no better way to put the thumbprint of a community on our stations than to incorporate community artist into the process." Director Nick Josefowitz of San Francisco said, "This art policy has been a long time in the making and this is an incredibly important step to taking it forward and making it a reality. I look forward to seeing huge changes to our stations and in our trains going forward."